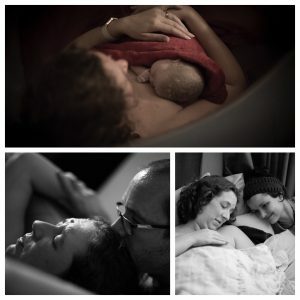 This week I am preparing to celebrate my daughter and second rainbow baby’s first birthday. A year ago I was preparing for my 40th birthday and the final weeks of pregnancy. My baby arrived the day after my birthday. As I have seen with other people nearing milestone birthdays, I was also in the throes of figuring out what I wanted from my life. Pregnancy also makes you think about your greater calling! It felt that the longer I was gestating the baby inside me, the more I was gestating an idea of a business. The more fully formed my baby got, the more fully formed and fleshed out my business idea became. 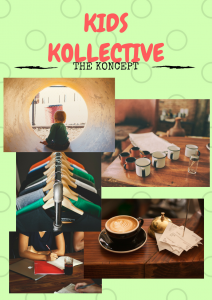 Originally I was going to created a business called Kids Korner Kollective. Looking at that name now, I cringe at the K alliteration with spelling errors! The idea was that it would be a space for retailers of cloth nappies, and related baby goods, to have a central location in Durban to sell their products. A place for purveyors of all things natural baby, to be able to shop a variety of options. There was going to be an event space which would host things like baby massage classes and cloth nappy demos. Cloth nappies, and a degree of natural parenting, is one of my other passions. I’m definitely not the crunchiest mom in my mom circles though. I do however have a passion for sharing my knowledge, in just about anything! When I was seven months pregnant I was invited to join one of the most beneficial facebook groups I’m in! My business idea was starting to take more of a solid feel and it seemed the right timing. Hello Boss Creative is a huge, well run Facebook group specifically for female entrepreneurs. Soon after joining I went along to a meet up in Durban. As with all networking events, everyone wanted to know what I did. At the time I considered myself a stay at home mom, but I embraced the question, and the joy of networking again, and explained my concept. Everyone was intrigued by the idea and made suggestions for making it even better. That’s when the coworking side of the business was added to the concept, and I started working on the concept a bit more. Many an insomniac night spent researching coworking, coworking for women, business models and the like. What is really interesting is how many women I talk to who have also created businesses while they were pregnant. Women clearly get our best ideas when our bodies are building another human during pregnancy. On 10 July 2017, Ayla Gillian Johnson was born at home! My baby girl. My rainbow after the storms of miscarriage! As I enjoyed the newborn snuggles, and remembered how to look after such a tiny human, I also let my mind wander and embrace all the new ideas for my business. Although officially WAHM WorkSpace will only be 1 year old in September, the concept really was birthed the month I gave birth to my baby. As I ventured out with a new baby, so I ventured out with a new business. The work started and by September I was in the space to register my business, build a website and begin in earnest to take this new business to new heights. I’m in the throes of preparing for my daughter’s pink hat and unicorn themed first birthday party. I am also working a celebration into my business this month. Our Lunch & Learn in July is at one of my favourite restaurants and we will have a small celebration at the lunch. As my baby has gone from being a helpless infant, to a little busy body over the past year, so my business has gone from being an idea, to a fully formed business. And as my baby has and will grow and change, so my business has been growing and changing, and will continue to do so. We introduced the Virtual Assistance and Administration services earlier this year. We have a team of WAHMs just waiting to get started as VAs. I’m loving the ability to empower these women to move forward with re-entering the workforce. Many made the same decision I made to stay with their kids when they were small. My focus has changed for WAHM WorkSpace. I’m moving away from the coworking space, and focusing on the networking, training and other empowering activities. When you love what you’re doing it’s hardly work! I’ve even changed the slogan! We are still a very female centric business, however our offerings can benefit a wider range of business owners. There will be expansion in these offerings over the next few months. My latest offering is our Business Basics courses. My first workshop was last month and the feedback was very positive. I will be offering the Mailchimp training again in July, as well as the new Canva course. I have a vision to grow the course offering to assist businesses with embracing new technology and helping them understand what is out there. We will be adding a new courses at one per month. There is also exciting news for our followers from Up the Hill in Durban. We will start offering more of our options both in Durban and in the Upper Highway area. 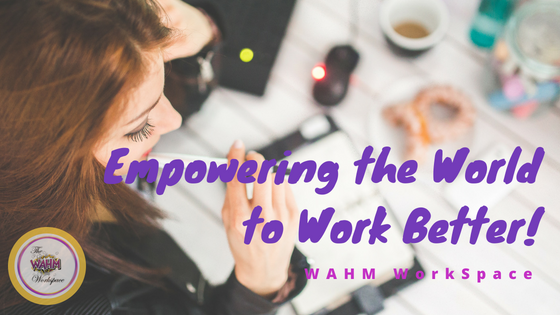 There are a variety of ways to work with me and the VA staff at WAHM WorkSpace. Here are some ideas of how we can make your life easier and help you to WORK BETTER. Lunch & Learn – Business Lunch for women business owners. Canva Business Basics Course – Durban date available in July. Request a Virtual Assistant to take the tasks off your plate that you don’t enjoy or take you away from your passions. 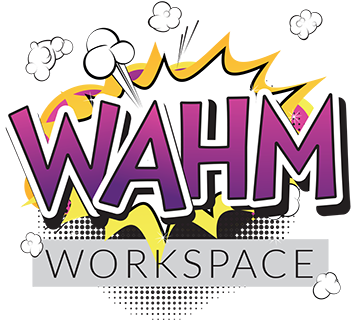 Sign up for our newsletter to be kept up to date on developments here at WAHM WorkSpace. Like our Facebook page for snippets of info, and to be reminded of events etc.